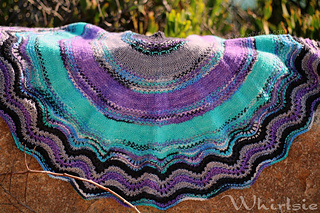 This pattern IS NOW AVAILABLE and was designed especially for a kit with yarn dyed by Candy Apple Lane. 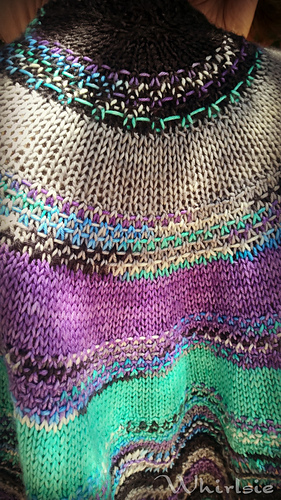 When asked to design a special pattern for Candy Apple Lane, I had to find something that shows off the stunning colours Jen is able to dye. 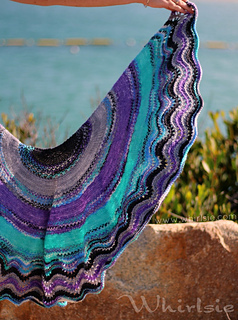 The name Katerina means “pure” in Russian, and this shawl was named for my friend with the same name, who has a pure heart and is a wonderful friend. The colours chosen for this design are also her favourites! 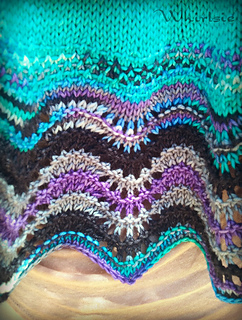 This shawl is worked from the top down, using both varigated and semi solid yarns. 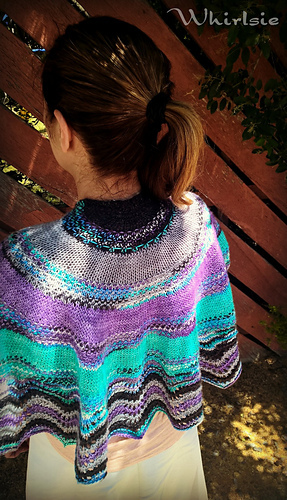 The slip stitch pattern and edging give a textured look to this simple pattern. 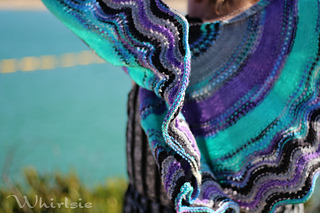 Advanced beginner - you will need to know how to knit, purl, increase and slip stitches. Tutorial links are provided in the pattern. 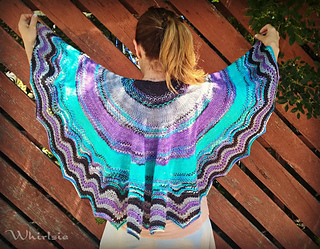 Don’t forget to use #whirlsie on social media to show off your amazing projects!